Marvel Comics announced at the Chicago Comics and Entertainment Expo (C2E2) this weekend that the big secret of Spider-Man's Original Sin tie-in is a tweak to his origin story: Back in Amazing Fantasy #15, apparently that spider bit somebody else before dying, granting the same powers that Peter Parker has had all these years to a second, as-yet-unnamed female. This July, Dan Slott and Humberto Ramos pluck that webbing once more to reveal the spider’s last hurrah, and the secret of a woman called Silk. 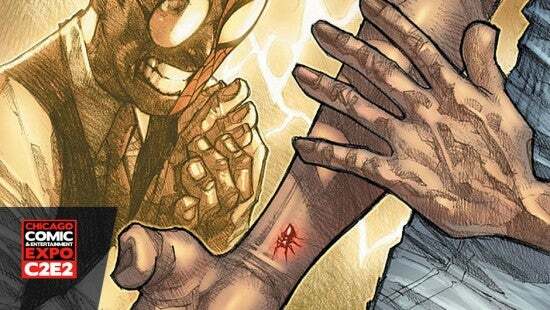 It all stands revealed in Amazing Spider-Man #4 and #5, a tie-in to Original Sin. 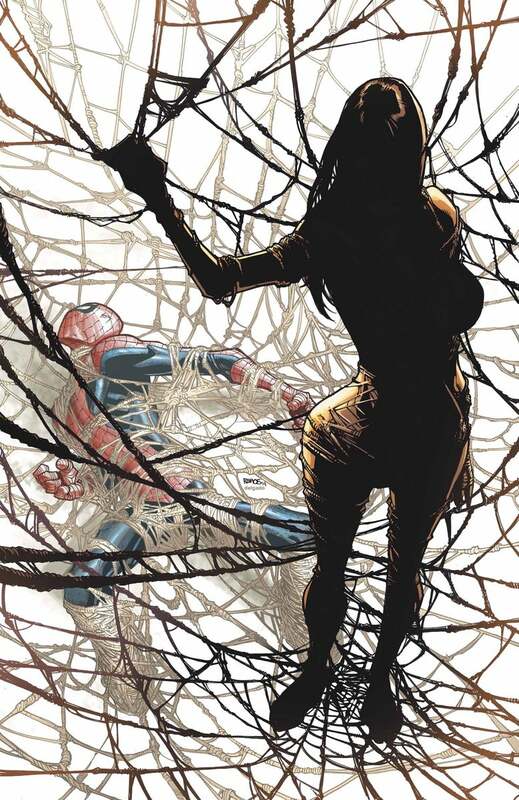 That Silk's figure has been obscured in promotional art suggests that, perhaps, it's somebody we've seen before. Could it be that someone else in Peter's class, or a supporting character fans have known along the way, might turn out to be Spider-Man's opposite number? “Much like holy books, the scriptures of comic books are rife with contradicting narratives” saidSlott, “This fits well in two of them. We’ve seen what happened to the spider after it died. It was eaten by somebody. This happened before that. This spider had a very complicated life. But I think it’s fair to say that spiders bite people. After it bit Peter the idea of it biting one more person isn’t such a big stretch.